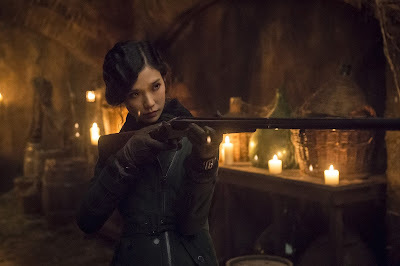 Home / lilith sinclair / reviews / tv / TV Review: "Hannibal" 03x03 "Secondo"
A step into the past can be a dangerous thing as far as this episode is concerned. We finally get a resolute look back into Hannibal Lecters' past as well as further insight to Wills' progressive reconstruction of his mind as he continues to hunt his quarry and dark inspiration. 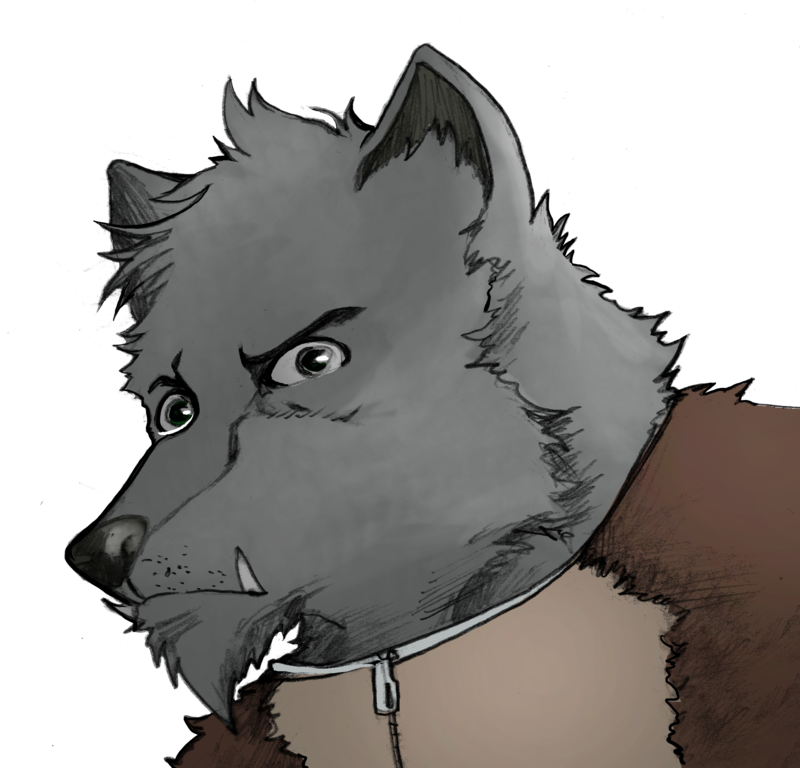 First allow me to offer my opinion on how broaching the subject of a villains' background can actually be productive to not only that character but their place in a bigger story. Much of Secondo is devoted to changing the audiences' perception about Lecter from the sophisticated serpent who feels nothing to fragments of a man stuck in the form of a monster. At risk of spoiling the best aspects of this episode, it's not so much about scaring the pants off you, but making you understand the whys and wherefores. I personally have never seen Hannibal Lecter as an UNFEELING creature, that is to say I never felt he was incapable of feeling passion, but how he chooses to express it and to whom he chooses to express it do is left up to his own discretion. 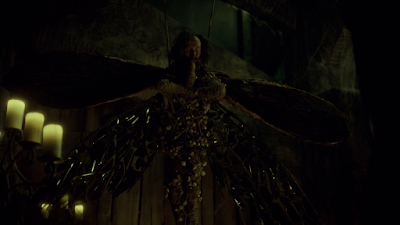 When Will travels to the dark, almost forbidden lands of old Lithuania, Hannibals' birthplace, he discovers the Good Doctors' beginnings may not be humble per se, but certainly not monstrous. Anybody familiar with Thomas Harris' books will know the very general outline of Hannibals' upbringing, but Secondo wisely skews its predecessors' narrative to suit its own continuity and in my eyes, it's as fitting as the original. There are folks out there who prefer it when their favourite villains aren't given a comprehensive backstory because it ruins their perceived mystique of the character, but in Hannibals' case, it suits the story incredibly well because there are consequences to understanding this knowledge. While the idea of humanizing monsters does in part serve to remind us of the inhuman being that lurks within us all, it also means there's a human lurking inside the monster. That may not be as frightening to some but it is all in how one chooses to approach the character. In my eyes, the more I find out about Hannibal Lecters' genesis, the more intrigued I become. Lecter is a symbol of negative psychology, and who of us can resist wanting to take a peek into the abyss and have it stare back and lick its lips? Hannibal Lecter isn't a slasher, he is a man who has been tainted and embraced by the relative notion of evil. As expected, the episode looks beautiful, sounds incredible and the story is just as compelling as it was in the previous episode but this time we are introduced to yet another pawn in Hannibals' game, that being Tao Okamoto as Chiyo who shares a common past with Hannibal and his family. When Will meets her, he finds a kindred spirit in her as both of them have come under Hannibals' thrall. It will be so fascinating to see how Will and Chiyos' mutual dynamic will work in the hunt for Lecter considering both of them are not exactly sound of mind. Although most of the Lithuania scenes are incredibly somber when not mentally disturbing, the sequences between Lecter and Bedelia continue to shine with their typical pitch-black levity that reminds one of a Hepburn and Tracy movie, only set in a mausoleum. 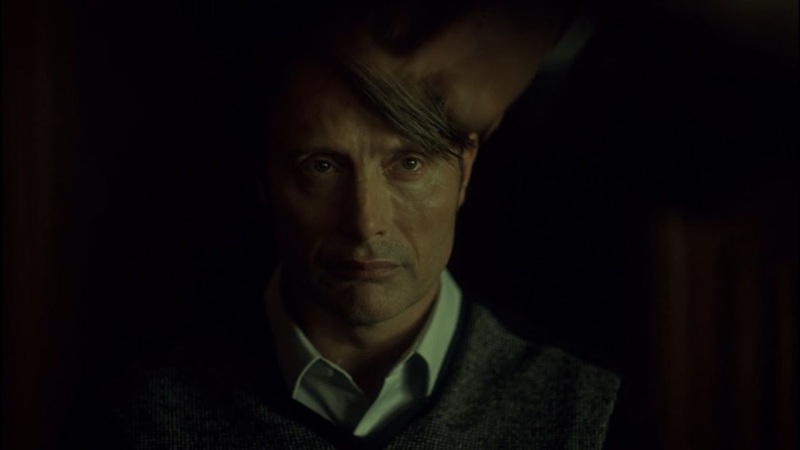 Dinner parties are awkward to say the least, cleaning up afterward is terrifying and throughout it all, Mikkelsen is smugly grinning like the cat that ate the canary out of the cage while Bedelia is retaining a facade of unflappable good manners and subtle flirtation with her captor/confidant. Secondo for all intents and purposes acts like the crack of a mirror that draws you in between the slivers of glass that is Hannibal Lecters' past and while the reveal of his heritage and his reasons may not satisfy some, that is not to say it wasn't welcomed by others, yours truly included. Jacks' back! Laurence Fishburne returns as Jack Crawford. After his stick in the mud unwillingness to accept responsibility for Wills' actions and well being, he has decided to nut up and help Will bring Hannibal to justice. Nice to see you again, Fish. The fabricated heart-to-heart with Hannibal in his office—shot with a wonderfully disorienting kaleidoscopic effect showed a new side of Will's fractured mind-palace. The way the scene shifted was marvelous. Bathtime with Hannibal and Bedelia. IN-TENSE. Was she actually trying to seduce him here? Oh and: snail moth man. DAY-UM.